Perhaps you would like to discuss your Bequest with us? Then, please, click HERE and complete the confidential enquiry form. We’ll contact you to arrange an appointment at a time convenient to you. 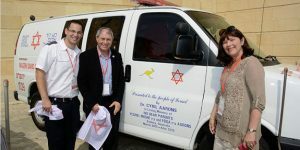 For more online information about leaving a legacy to Magen David Adom in Israel, please click HERE.